In an age of minimalists, Eileen Pollack is a writer of rare generosity. The women and men in The Rabbi in the Attic are complex, vivid people to whom something happens. Their stories take place in small towns in the Catskills, a laboratory of mutant mice in nowhere Tennessee, the backwoods of New Hampshire, the “City of Five Smells” in America’s heartland—worlds rendered with such love and intensity that the simplest objects seem magical. Many of the narrators look back on their pasts. But don’t expect to be lulled by nostalgia. Expect to laugh. To be jolted. And to be moved. Like most of us, these characters are struggling to understand what they have gained and lost by abandoning the passions and moral certainties of youth. As the narrator of the first story discovers when “barbarian” rock fans invade her town, it can be terrifying to be knocked from the “tiny fixed orbit” of conventional life. But if a person can stretch her imagination far enough, she might also be able to glimpse an “elsewhere” beyond the boundaries of ordinary human limitations. This battle between the real and ideal is taken to mythic heights in the title novella, in which a novice rabbi must try to evict her Orthodox predecessor from the house provided by her prickly congregation. Only when she tempers her enthusiasm for the new ways with compassion for those who follow the old ways can Rabbi Bloomgarten begin to care for their souls. Eileen Pollack writes from a Jewish point of view, but her subject is the search for principles that we must all undertake in a world in which religious truths are no longer handed down from parent to child. Just as one of her characters decides to become a “value assessor,” the author herself helps us to sort through the jumble of objects, ideas, and memories in our own attics. In doing so, she appeals to our minds and our hearts. Her characters teach us that imagination and empathy are our best hope if we are to understand—and perhaps transcend—the pain in our world. Her language is lyrical, rhythmic, and lush. The images in her stories—a chef’s severed hand, a plummeting air conditioner, a village sunk beneath a reservoir—will stay in your mind long after you have finished her book. Eileen Pollack was born and grew up in Liberty, N.Y., the heart of the Jewish Catskills, where her grandparents owned and operated a small hotel. 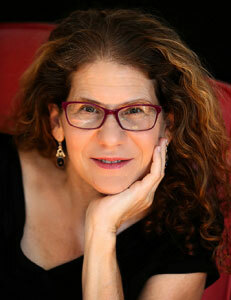 In addition to The Rabbi in the Attic, she is the author of the novelsParadise, New York, also set in the Catskills, Breaking and Entering, and, most recently, A Perfect Life. 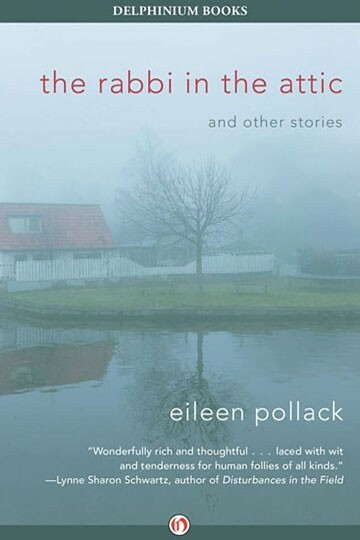 Eileen’s second collection of stories and novellas, In the Mouth, was named the winner of the Edward Lewis Wallant Award, in addition to being shortlisted for the Sophie Brody Medal for Jewish literature, chosen as a finalist for the Paterson Fiction Award, and awarded a silver medal in ForeWord Magazine’s 2008 Book of the Year Awards. Eileen has received fellowships from the NEA, the Michener Foundation, the Rona Jaffe Foundation, and the Massachusetts Arts Council. Her novella “The Bris” was chosen to appear in Best American Short Stories, edited by Stephen King; two other stories have been awarded Pushcart Prizes, and her essay “Pigeons” was selected by Cheryl Strayed for Best American Essays. She divides her time between Manhattan and Ann Arbor, where she teaches on the faculty of the MFA Program in Creative Writing at the University of Michigan.